Looking to maximize battery use for your hearing aids? Wondering about how long a hearing aid battery should last on average? Whether it’s partial or disabling, hearing aids are an important tool for anybody who has hearing loss. You may already know everything there is to know about your hearing aid. But, what about the tiny powerhouses that bring your hearing aid to life? Here, we will give you all the information that you will need on hearing aid batteries. We’ve also added a few tips in on saving money. Read on to find out how. There is a reason why America is one of the largest consumers for button cell batteries back in 2017. Button cell batteries are smaller, lighter, and can hold their charge for a long time. They’re great for many tools, household items, and hearing aids! Your hearing aid can’t use any button cell battery, however. All hearing aid models have certain types of battery meant for them. The most common type is the disposable zinc-air button battery. If you want to avoid buying batteries on a regular basis, there are rechargeable batteries that are also available for hearing aids. You can buy them online or in hearing aid stores. They should always come with battery chargers. If you’re a new addition to the 48 million people in the United States with significant hearing loss, you may not yet know that your hearing aid battery has a specific size. All button cell batteries must look the same, but trust us, they aren’t. There are many different styles and sizes of hearing aids. Their batteries come in many sizes as well. Bigger hearing aids need more power, which they can get from bigger batteries. If you aren’t sure of what battery you should get, check the old batteries. There are numbers engraved into the flat side. Better yet, take note of the sticker color sealed onto your first batteries. Sealed, brand new batteries have color codes that differ with battery size. Size 10 batteries have a yellow tag while size 312 batteries have a brown sticker. Tags for size 13 batteries are orange and size 675 batteries have a blue sticker. When you buy new batteries, remember to always check the seal. It should not look broken or tampered with. The moment you remove the protective seal, the hearing aid battery will begin to discharge. 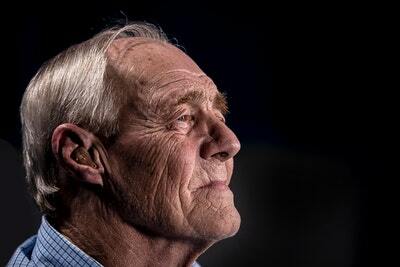 When your hearing aid isn’t working, there are a few possible reasons for that. One important question you will ask is: are my batteries dead? How long do hearing aid batteries last? The answer is different for each hearing aid. Your battery life depends on what kind of battery your hearing aid uses. Different hearing aid battery sizes have different lifespans. Whenever you’re unsure when you should change your batteries, refer to this list. Of course, it’s always a good idea to take note of when you made a new change of batteries. That way you will have a general idea for when your next battery change is going to be. If you bought too many extra batteries, don’t worry. You can store sealed zinc-air batteries for up to three years. Make sure to store them in a dry environment at room temperature to keep their stability. Rayovac, Energizer, and Duracell are some of the three most popular hearing aid battery brands. Power-One, iCellTech, NEXcell, and Panasonic are other brands of hearing aid batteries. They all manufacture battery sizes from size 10 to size 675. There are over 7,000 hearing aid specialists in the US. They’ll have their own list of batteries that are suitable for your hearing aid. There are those who have their own preferences or recommendations for their clients. Some hearing care professionals also have their own labels on hearing aid batteries. These labels often will have their address, contact number, and logo. They buy batteries wholesale and label them in private. On their own, hearing aids cost a lot. Even the cheapest one can cost you around $1000. That’s without adding the price of all the batteries that you have used and will use. With that in mind, the next best thing you can do to save money is to minimize battery use. Here are a few tips to lengthen the lifespans of your hearing aid batteries. The less you have to replace them, the less you keep spending on new ones. When you aren’t using your hearing aid, turn it off. Overnight, open the battery compartment door. Exposing the batteries for a few hours will let any moisture evaporate. If you aren’t using your batteries yet, make sure you store them at room temperature. Don’t put them in bathroom cabinets or in the bathroom in general. Humid and warm environments will shorten battery life. When you buy new batteries, don’t put them in pockets or purses. These are places where they can come into contact with coins or keys. Metal objects can short-circuit your batteries. Always remember to dispose of your batteries the right way. You can drop them off at an electronics retailer. Hearing aid centers also take in used hearing aid batteries for recycling. Those are 5 things you must know about hearing aid batteries. Have you any preferred hearing aid battery brands? Let us know. You can also share it with us your hearing aid stories by visiting our page. Got more questions on hearing aids? We’d feel delighted to answer any of your questions. Don’t hesitate to check out other guides and blog posts. Are you losing your hearing? Seeing an audiologist soon? Here are five questions to ask about your hearing loss.